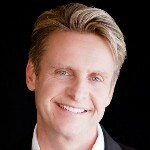 Nicholas Webb is an international speaker and world renowned innovation thought leader and futurist. 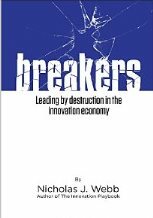 He has written five books on the topic of innovation and customer experience, including his new book entitled ‘Breakers’ that uncovers the shocking future of business and the Innovation economy. Nicholas is a senior partner with Lassen Innovation Management Consulting and has provided consulting and training services to Fortune 500 companies and small businesses alike. As an award-winning innovator and private inventor the US Patent and Trademark office has awarded him over 40 patents for technologies, including one of the world’s smallest medical implants, and a wide range of consumer and technology innovations. Nicholas began his career more than 25 years ago as a CEO of Myocure, Inc, one of the first companies to design and develop refractive surgical products for ophthalmology. It was then sold to one of the world’s largest medical companies. He also founded NuPak, an ISO certified contract manufacturer that is in business today. Nicholas Webb lives in Northern California with his wife and their four children.